Does your LinkedIn Profile need a WOW factor? Picture this: What would it be like to walk into a room to find only your ideal prospects? Yes, absolutely everyone there needs your service or product. LinkedIn is the only business-dedicated social media to provide this opportunity for you. You can search for specific people, find groups that meet your parameters, and request introductions to people you want to meet. Recently, Carol had a request for an introduction to someone in her connections. Three people in her network were connected to this person. She sent a request for introductions to them. Two of the three responded that they would be happy to make the introduction. Yes, we are on LinkedIn to be helpful and go givers. LinkedIn is the perfect place for you to practice Inbound Marketing. (See Inbound Marketing Strategies below) Online networking has opened the floodgates for professional online profiles — the kind you place on LinkedIn needs to put you heads and shoulders over your competitors and make sure you stand out as the “go to” expert to build your brand, your business, and your bank account. Establish your expertise: Focus the content on your professional expertise, benefits, and accomplishments. Be sure to include your current and past employment, education, and industry. Scatter relevant keywords throughout your profile to build your SEO optimization. Captivate your audience: Create an opening summary that sells. Size up what’s important to your audience. Use enticing words and captivating phrases. Write outside the box: Avoid clichés and work hard to paint fresh word pictures that help readers understand your specialness. Use specifics. Be authentic. And within the bounds of business communication, write like you talk. Rightsized, not supersize: Set your sights on making your profile neither too long nor too short. There’s no rule about exact profile length. Make every word sell you, your business, and your specialties. Write must-read robust headlines: Another secret to successful profile writing is the power headline! It’s the headline that pulls readers into your profile. Don’t oversell your versatility: Often people make the mistake of cobbling together their qualifications and come off looking like jacks of all trades (and masters of none). Folks are seeking to work with specialists, not generalists. Don’t overdo self-praise: Hold back on empty adjectives like superior, exclusive, outstanding, and so forth when you describe your skills or qualities. Without backing up your claims, no one believes them anyway. Factually explain how you made or saved money, how you delivered on a goal, how you received top marks for performance. You’re more likely to be believed when you get strong recommendations. Don’t be shy about asking for them and be sure to reciprocate and write for your contacts. Don’t regurgitate your resume: Include data in your profile that will help you get your desired outcome; business, clients, or an interview. A cultural fit with the reader is key; add such information as your participation in amateur sports (competitiveness), five favorite books (thinking quality); and civic service organizations (community-orientation), for instance. Politics? No, unless you’re applying to a political party. Religious affiliation? No, unless you’re applying to a church or ministry. Don’t be a victim to perilous posting: Don’t post anything you don’t want the entire world to see. Treat your LinkedIn page with the utmost care and professional respect you bring to your clients, customers, and coworkers. This is not the place to be a smarty pants. Treat all personal identity information like a classified document to keep the identity thieves away. Don’t put your home address, social security number, driver’s or professional license numbers, or family information in your profile. Restrict contact information to your phone number and e-mail, and, if you have one, a post office box address. Because her profile lists her #1 best-selling author status, Marcia has been contacted by a number of first-time authors to help them maximize their author revenues. 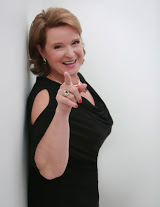 Marcia enjoys helping authors look outside the traditional “box” and find multiple revenue channels as well as helping authors become #1 Bestsellers. With the right profile powerfully written and positioned, LinkedIn is a revenue-generating, social media money maker! Just read such a brilliant post written by Robert Herjavec covering the evolution of online security during the last 30 years. How brilliant for him to build a company selling peace of mind! However, also what an ongoing challenge to keep security safe. Having been a toy manufacturer for many years, we manufactured a Happy Meal toy for McDonalds. #MyIndustry required that we have a closed manufacturing facility during production to keep “industry spies” from learning what we were making for the Golden Arches. Now, while that was a quite some time ago, industry to industry espionage is still a big concern where first to market is still the most desired position. While doing design work at another consumer product company, the CEO required all trash to be shredded and the windows in the design department (where all brain power existed!!) had to be blackened so competition would not know what was coming next. Who could have known the toy industry could be just as cutthroat as high tech? Wonder what the security was like around Dancing with the Stars?